Tasks are the building blocks of Celery applications. A task is a class that can be created out of any callable. It performs dual roles in that it defines both what happens when a task is called (sends a message), and what happens when a worker receives that message. Every task class has a unique name, and this name is referenced in messages so the worker can find the right function to execute. A task message is not removed from the queue until that message has been acknowledged by a worker. A worker can reserve many messages in advance and even if the worker is killed – by power failure or some other reason – the message will be redelivered to another worker. Ideally task functions should be idempotent: meaning the function won’t cause unintended effects even if called multiple times with the same arguments. Since the worker cannot detect if your tasks are idempotent, the default behavior is to acknowledge the message in advance, just before it’s executed, so that a task invocation that already started is never executed again. If your task is idempotent you can set the acks_late option to have the worker acknowledge the message after the task returns instead. See also the FAQ entry Should I use retry or acks_late?. We don’t want to rerun tasks that forces the kernel to send a SIGSEGV (segmentation fault) or similar signals to the process. We assume that a system administrator deliberately killing the task does not want it to automatically restart. A task that allocates too much memory is in danger of triggering the kernel OOM killer, the same may happen again. A task that always fails when redelivered may cause a high-frequency message loop taking down the system. If you really want a task to be redelivered in these scenarios you should consider enabling the task_reject_on_worker_lost setting. A task that blocks indefinitely may eventually stop the worker instance from doing any other work. Time limits are convenient for making sure all tasks return in a timely manner, but a time limit event will actually kill the process by force so only use them to detect cases where you haven’t used manual timeouts yet. The default prefork pool scheduler is not friendly to long-running tasks, so if you have tasks that run for minutes/hours make sure you enable the -Ofair command-line argument to the celery worker. See Prefork pool prefetch settings for more information, and for the best performance route long-running and short-running tasks to dedicated workers (Automatic routing). If your worker hangs then please investigate what tasks are running before submitting an issue, as most likely the hanging is caused by one or more tasks hanging on a network operation. How do I import the task decorator? And what’s “app”? 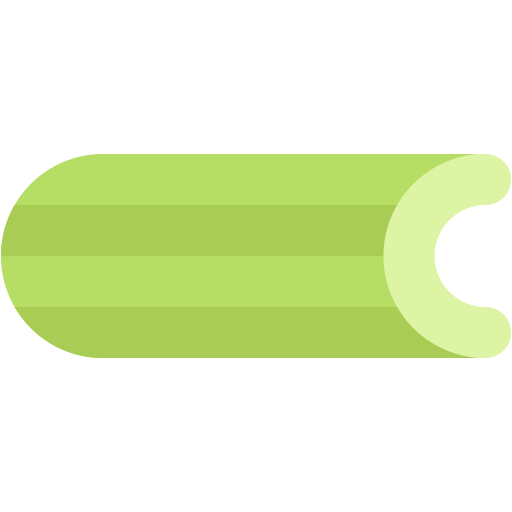 The task decorator is available on your Celery application instance, if you don’t know what this is then please read First Steps with Celery. Bound tasks are needed for retries (using app.Task.retry()), for accessing information about the current task request, and for any additional functionality you add to custom task base classes. Every task must have a unique name. If no explicit name is provided the task decorator will generate one for you, and this name will be based on 1) the module the task is defined in, and 2) the name of the task function. A best practice is to use the module name as a name-space, this way names won’t collide if there’s already a task with that name defined in another module. This will force you to always use absolute imports so you will never have any problems with tasks using relative names. Absolute imports are the default in Python 3 so you don’t need this if you target that version. Relative imports and automatic name generation don’t go well together, so if you’re using relative imports you should set the name explicitly. For example if the client imports the module "myapp.tasks" as ".tasks", and the worker imports the module as "myapp.tasks", the generated names won’t match and an NotRegistered error will be raised by the worker. >>> from myapp.tasks import mytask    # << BAD!!! For this reason you must be consistent in how you import modules, and that is also a Python best practice. from module import foo   # BAD! from proj.module import foo  # GOOD! from .module import foo  # GOOD! So each task will have a name like moduleA.taskA , moduleA.taskB and moduleB.test . Make sure that your app.gen_task_name() is a pure function: meaning that for the same input it must always return the same output. app.Task.request contains information and state related to the currently executing task. The unique id of the executing task. The unique id of the task’s group, if this task is a member. The unique id of the chord this task belongs to (if the task is part of the header). Custom ID used for things like de-duplication. Name of host that sent this task. How many times the current task has been retried. An integer starting at 0 . Set to True if the task is executed locally in the client, not by a worker. The original ETA of the task (if any). This is in UTC time (depending on the enable_utc setting). The original expiry time of the task (if any). This is in UTC time (depending on the enable_utc setting). Node name of the worker instance executing the task. Additional message delivery information. This is a mapping containing the exchange and routing key used to deliver this task. Used by for example app.Task.retry() to resend the task to the same destination queue. Availability of keys in this dict depends on the message broker used. Name of queue to send replies back to (used with RPC result backend for example). This flag is set to true if the task wasn’t executed by the worker. A tuple of the current (soft, hard) time limits active for this task (if any). A list of signatures to be called if this task returns successfully. A list of signatures to be called if this task fails. Set to true the caller has UTC enabled (enable_utc). Mapping of message headers sent with this task message (may be None). Where to send reply to (queue name). Usually the same as the task id, often used in amqp to keep track of what a reply is for. The unique id of the first task in the workflow this task is part of (if any). The unique id of the task that called this task (if any). Reversed list of tasks that form a chain (if any). The last item in this list will be the next task to succeed the current task. If using version one of the task protocol the chain tasks will be in request.callbacks instead. The bind argument means that the function will be a “bound method” so that you can access attributes and methods on the task type instance. The worker will automatically set up logging for you, or you can configure logging manually. A special logger is available named “celery.task”, you can inherit from this logger to automatically get the task name and unique id as part of the logs. Celery uses the standard Python logger library, and the documentation can be found here. You can also use print(), as anything written to standard out/-err will be redirected to the logging system (you can disable this, see worker_redirect_stdouts). The worker won’t update the redirection if you create a logger instance somewhere in your task or task module. # Works locally, but the worker receiving the task will raise an error. Sensitive information will still be accessible to anyone able to read your task message from the broker, or otherwise able intercept it. For this reason you should probably encrypt your message if it contains sensitive information, or in this example with a credit card number the actual number could be stored encrypted in a secure store that you retrieve and decrypt in the task itself. app.Task.retry() can be used to re-execute the task, for example in the event of recoverable errors. When you call retry it’ll send a new message, using the same task-id, and it’ll take care to make sure the message is delivered to the same queue as the originating task. When a task is retried this is also recorded as a task state, so that you can track the progress of the task using the result instance (see States). The app.Task.retry() call will raise an exception so any code after the retry won’t be reached. This is the Retry exception, it isn’t handled as an error but rather as a semi-predicate to signify to the worker that the task is to be retried, so that it can store the correct state when a result backend is enabled. This is normal operation and always happens unless the throw argument to retry is set to False. The bind argument to the task decorator will give access to self (the task type instance). The exc argument is used to pass exception information that’s used in logs, and when storing task results. Both the exception and the traceback will be available in the task state (if a result backend is enabled). An exc argument wasn’t given. In this case the MaxRetriesExceededError exception will be raised. will raise the exc argument given. When a task is to be retried, it can wait for a given amount of time before doing so, and the default delay is defined by the default_retry_delay attribute. By default this is set to 3 minutes. Note that the unit for setting the delay is in seconds (int or float). You can also provide the countdown argument to retry() to override this default. @app.task(bind=True, default_retry_delay=30 * 60)  # retry in 30 minutes. Sometimes you just want to retry a task whenever a particular exception is raised. By default, this exponential backoff will also introduce random jitter to avoid having all the tasks run at the same moment. It will also cap the maximum backoff delay to 10 minutes. All these settings can be customized via options documented below. A list/tuple of exception classes. If any of these exceptions are raised during the execution of the task, the task will automatically be retried. By default, no exceptions will be autoretried. A dictionary. Use this to customize how autoretries are executed. Note that if you use the exponential backoff options below, the countdown task option will be determined by Celery’s autoretry system, and any countdown included in this dictionary will be ignored. A boolean, or a number. If this option is set to True, autoretries will be delayed following the rules of exponential backoff. The first retry will have a delay of 1 second, the second retry will have a delay of 2 seconds, the third will delay 4 seconds, the fourth will delay 8 seconds, and so on. (However, this delay value is modified by retry_jitter, if it is enabled.) If this option is set to a number, it is used as a delay factor. For example, if this option is set to 3, the first retry will delay 3 seconds, the second will delay 6 seconds, the third will delay 12 seconds, the fourth will delay 24 seconds, and so on. By default, this option is set to False, and autoretries will not be delayed. A number. If retry_backoff is enabled, this option will set a maximum delay in seconds between task autoretries. By default, this option is set to 600, which is 10 minutes. A boolean. Jitter is used to introduce randomness into exponential backoff delays, to prevent all tasks in the queue from being executed simultaneously. If this option is set to True, the delay value calculated by retry_backoff is treated as a maximum, and the actual delay value will be a random number between zero and that maximum. By default, this option is set to True. The task decorator can take a number of options that change the way the task behaves, for example you can set the rate limit for a task using the rate_limit option. Any keyword argument passed to the task decorator will actually be set as an attribute of the resulting task class, and this is a list of the built-in attributes. The name the task is registered as. You can set this name manually, or a name will be automatically generated using the module and class name. If the task is being executed this will contain information about the current request. Thread local storage is used. Only applies if the task calls self.retry or if the task is decorated with the autoretry_for argument. The maximum number of attempted retries before giving up. If the number of retries exceeds this value a MaxRetriesExceededError exception will be raised. You have to call retry() manually, as it won’t automatically retry on exception.. The default is 3. A value of None will disable the retry limit and the task will retry forever until it succeeds. Optional tuple of expected error classes that shouldn’t be regarded as an actual error. Errors in this list will be reported as a failure to the result backend, but the worker won’t log the event as an error, and no traceback will be included. Logged with severity INFO, traceback excluded. Logged with severity ERROR, with traceback included. Default time in seconds before a retry of the task should be executed. Can be either int or float. Default is a three minute delay. Set the rate limit for this task type (limits the number of tasks that can be run in a given time frame). Tasks will still complete when a rate limit is in effect, but it may take some time before it’s allowed to start. If this is None no rate limit is in effect. If it is an integer or float, it is interpreted as “tasks per second”. The rate limits can be specified in seconds, minutes or hours by appending “/s” , “/m” or “/h” to the value. Tasks will be evenly distributed over the specified time frame. Example: “100/m” (hundred tasks a minute). This will enforce a minimum delay of 600ms between starting two tasks on the same worker instance. Default is the task_default_rate_limit setting: if not specified means rate limiting for tasks is disabled by default. Note that this is a per worker instance rate limit, and not a global rate limit. To enforce a global rate limit (e.g., for an API with a maximum number of requests per second), you must restrict to a given queue. The hard time limit, in seconds, for this task. When not set the workers default is used. The soft time limit for this task. When not set the workers default is used. Don’t store task state. Note that this means you can’t use AsyncResult to check if the task is ready, or get its return value. If True, errors will be stored even if the task is configured to ignore results. A string identifying the default serialization method to use. Defaults to the task_serializer setting. Can be pickle , json , yaml , or any custom serialization methods that have been registered with kombu.serialization.registry. Please see Serializers for more information. A string identifying the default compression scheme to use. Defaults to the task_compression setting. Can be gzip , or bzip2 , or any custom compression schemes that have been registered with the kombu.compression registry. Please see Compression for more information. The result store backend to use for this task. An instance of one of the backend classes in celery.backends . Defaults to app.backend , defined by the result_backend setting. If set to True messages for this task will be acknowledged after the task has been executed, not just before (the default behavior). Note: This means the task may be executed multiple times should the worker crash in the middle of execution. Make sure your tasks are idempotent. The global default can be overridden by the task_acks_late setting. If True the task will report its status as “started” when the task is executed by a worker. The default value is False as the normal behavior is to not report that level of granularity. Tasks are either pending, finished, or waiting to be retried. Having a “started” status can be useful for when there are long running tasks and there’s a need to report what task is currently running. The global default can be overridden by the task_track_started setting. The API reference for Task. Celery can keep track of the tasks current state. The state also contains the result of a successful task, or the exception and traceback information of a failed task. There are several result backends to choose from, and they all have different strengths and weaknesses (see Result Backends). During its lifetime a task will transition through several possible states, and each state may have arbitrary meta-data attached to it. When a task moves into a new state the previous state is forgotten about, but some transitions can be deduced, (e.g., a task now in the FAILED state, is implied to have been in the STARTED state at some point). There are also sets of states, like the set of FAILURE_STATES, and the set of READY_STATES. The client uses the membership of these sets to decide whether the exception should be re-raised (PROPAGATE_STATES), or whether the state can be cached (it can if the task is ready). You can also define Custom states. If you want to keep track of tasks or need the return values, then Celery must store or send the states somewhere so that they can be retrieved later. There are several built-in result backends to choose from: SQLAlchemy/Django ORM, Memcached, RabbitMQ/QPid (rpc), and Redis – or you can define your own. No backend works well for every use case. You should read about the strengths and weaknesses of each backend, and choose the most appropriate for your needs. The RPC result backend ( rpc:// ) is special as it doesn’t actually store the states, but rather sends them as messages. This is an important difference as it means that a result can only be retrieved once, and only by the client that initiated the task. Two different processes can’t wait for the same result. Even with that limitation, it is an excellent choice if you need to receive state changes in real-time. Using messaging means the client doesn’t have to poll for new states. The messages are transient (non-persistent) by default, so the results will disappear if the broker restarts. You can configure the result backend to send persistent messages using the result_persistent setting. Keeping state in the database can be convenient for many, especially for web applications with a database already in place, but it also comes with limitations. Polling the database for new states is expensive, and so you should increase the polling intervals of operations, such as result.get() . Some databases use a default transaction isolation level that isn’t suitable for polling tables for changes. In MySQL the default transaction isolation level is REPEATABLE-READ : meaning the transaction won’t see changes made by other transactions until the current transaction is committed. Changing that to the READ-COMMITTED isolation level is recommended. Task is waiting for execution or unknown. Any task id that’s not known is implied to be in the pending state. Task has been started. Not reported by default, to enable please see app.Task.track_started. pid and hostname of the worker process executing the task. Task has been successfully executed. result contains the return value of the task. Task execution resulted in failure. result contains the exception occurred, and traceback contains the backtrace of the stack at the point when the exception was raised. result contains the exception that caused the retry, and traceback contains the backtrace of the stack at the point when the exceptions was raised. You can easily define your own states, all you need is a unique name. The name of the state is usually an uppercase string. As an example you could have a look at the abortable tasks which defines a custom ABORTED state. Use update_state() to update a task’s state:. Here I created the state “PROGRESS” , telling any application aware of this state that the task is currently in progress, and also where it is in the process by having current and total counts as part of the state meta-data. This can then be used to create progress bars for example. A rarely known Python fact is that exceptions must conform to some simple rules to support being serialized by the pickle module. Tasks that raise exceptions that aren’t pickleable won’t work properly when Pickle is used as the serializer. To make sure that your exceptions are pickleable the exception MUST provide the original arguments it was instantiated with in its .args attribute. The simplest way to ensure this is to have the exception call Exception.__init__. So the rule is: For any exception that supports custom arguments *args, Exception.__init__(self, *args) must be used. The worker wraps the task in a tracing function that records the final state of the task. There are a number of exceptions that can be used to signal this function to change how it treats the return of the task. The task may raise Ignore to force the worker to ignore the task. This means that no state will be recorded for the task, but the message is still acknowledged (removed from queue). This can be used if you want to implement custom revoke-like functionality, or manually store the result of a task. The task may raise Reject to reject the task message using AMQPs basic_reject method. This won’t have any effect unless Task.acks_late is enabled. Rejecting a message has the same effect as acking it, but some brokers may implement additional functionality that can be used. For example RabbitMQ supports the concept of Dead Letter Exchanges where a queue can be configured to use a dead letter exchange that rejected messages are redelivered to. Reject can also be used to re-queue messages, but please be very careful when using this as it can easily result in an infinite message loop. # and we can manually inspect the situation. # For any other error we retry after 10 seconds. Consult your broker documentation for more details about the basic_reject method. The Retry exception is raised by the Task.retry method to tell the worker that the task is being retried. All tasks inherit from the app.Task class. The run() method becomes the task body. A task is not instantiated for every request, but is registered in the task registry as a global instance. This means that the __init__ constructor will only be called once per process, and that the task class is semantically closer to an Actor. And you route every request to the same process, then it will keep state between requests. The db attribute of the process_rows task will then always stay the same in each process. Handler called after the task returns. status – Current task state. retval – Task return value/exception. task_id – Unique id of the task. args – Original arguments for the task that returned. kwargs – Original keyword arguments for the task that returned. einfo – ExceptionInfo instance, containing the traceback (if any). The return value of this handler is ignored. This is run by the worker when the task fails. einfo – ExceptionInfo instance, containing the traceback. This is run by the worker when the task is to be retried. exc – The exception sent to retry(). task_id – Unique id of the retried task. args – Original arguments for the retried task. kwargs – Original keyword arguments for the retried task. Run by the worker if the task executes successfully. Upon receiving a message to run a task, the worker creates a request to represent such demand. Custom task classes may override which request class to use by changing the attribute celery.app.task.Task.Request. You may either assign the custom request class itself, or its fully qualified name. The request has several responsibilities. Custom request classes should cover them all – they are responsible to actually run and trace the task. We strongly recommend to inherit from celery.worker.request.Request. When using the pre-forking worker, the methods on_timeout() and on_failure() are executed in the main worker process. An application may leverage such facility to detect failures which are not detected using celery.app.task.Task.on_failure(). As an example, the following custom request detects and logs hard time limits, and other failures. Here come the technical details. This part isn’t something you need to know, but you may be interested. This is the list of tasks built into Celery. Note that tasks will only be registered when the module they’re defined in is imported. The default loader imports any modules listed in the imports setting. The app.task() decorator is responsible for registering your task in the applications task registry. When tasks are sent, no actual function code is sent with it, just the name of the task to execute. When the worker then receives the message it can look up the name in its task registry to find the execution code. This means that your workers should always be updated with the same software as the client. This is a drawback, but the alternative is a technical challenge that’s yet to be solved. If you don’t care about the results of a task, be sure to set the ignore_result option, as storing results wastes time and resources. Results can even be disabled globally using the task_ignore_result setting. Results can be enabled/disabled on a per-execution basis, by passing the ignore_result boolean parameter, when calling apply_async or delay. By default tasks will not ignore results (ignore_result=False) when a result backend is configured. You find additional optimization tips in the Optimizing Guide. Having a task wait for the result of another task is really inefficient, and may even cause a deadlock if the worker pool is exhausted. Make your design asynchronous instead, for example by using callbacks. Here I instead created a chain of tasks by linking together different signature()’s. You can read about chains and other powerful constructs at Canvas: Designing Work-flows. By default Celery will not allow you to run subtasks synchronously within a task, but in rare or extreme cases you might need to do so. WARNING: enabling subtasks to run synchronously is not recommended! The task granularity is the amount of computation needed by each subtask. In general it is better to split the problem up into many small tasks rather than have a few long running tasks. With smaller tasks you can process more tasks in parallel and the tasks won’t run long enough to block the worker from processing other waiting tasks. However, executing a task does have overhead. A message needs to be sent, data may not be local, etc. So if the tasks are too fine-grained the overhead added probably removes any benefit. The book Art of Concurrency has a section dedicated to the topic of task granularity [AOC1]. [AOC1] Breshears, Clay. Section 2.2.1, “The Art of Concurrency”. O’Reilly Media, Inc. May 15, 2009. ISBN-13 978-0-596-52153-0. The worker processing the task should be as close to the data as possible. The best would be to have a copy in memory, the worst would be a full transfer from another continent. If the data is far away, you could try to run another worker at location, or if that’s not possible - cache often used data, or preload data you know is going to be used. The easiest way to share data between workers is to use a distributed cache system, like memcached. The paper Distributed Computing Economics by Jim Gray is an excellent introduction to the topic of data locality. Since Celery is a distributed system, you can’t know which process, or on what machine the task will be executed. You can’t even know if the task will run in a timely manner. The ancient async sayings tells us that “asserting the world is the responsibility of the task”. What this means is that the world view may have changed since the task was requested, so the task is responsible for making sure the world is how it should be; If you have a task that re-indexes a search engine, and the search engine should only be re-indexed at maximum every 5 minutes, then it must be the tasks responsibility to assert that, not the callers. Now, the queue is very busy, so the task won’t be run for another 2 minutes. In the meantime another author makes changes to the article, so when the task is finally run, the body of the article is reverted to the old version because the task had the old body in its argument. There might even be performance benefits to this approach, as sending large messages may be expensive. This is a Django view creating an article object in the database, then passing the primary key to a task. It uses the commit_on_success decorator, that will commit the transaction when the view returns, or roll back if the view raises an exception. There’s a race condition if the task starts executing before the transaction has been committed; The database object doesn’t exist yet! The solution is to use the on_commit callback to launch your Celery task once all transactions have been committed successfully. on_commit is available in Django 1.9 and above, if you are using a version prior to that then the django-transaction-hooks library adds support for this. Let’s take a real world example: a blog where comments posted need to be filtered for spam. When the comment is created, the spam filter runs in the background, so the user doesn’t have to wait for it to finish. I have a Django blog application allowing comments on blog posts. I’ll describe parts of the models/views and tasks for this application. In the view where the comment is posted, I first write the comment to the database, then I launch the spam filter task in the background. To filter spam in comments I use Akismet, the service used to filter spam in comments posted to the free blog platform Wordpress . Akismet is free for personal use, but for commercial use you need to pay. You have to sign up to their service to get an API key. To make API calls to Akismet I use the akismet.py library written by Michael Foord.